Business property next to Circle K and Family dollar on highway 80. Possibly the best buy in Tombstone. Approximately 15000 vehicles pass by daily. Visible from highway 80 and next to one of busiest Circle K convenience stores in Arizona. This property is ideal for a family owned business. Tombstone is a huge tourist attraction making it ideal for businesses that cater to tourists. Property has had the same owner for some time. He has operated businesses out of this location and at present it is being used as the owners office headquarters. The building has a bedroom, bathroom, kitchen and other rooms that can be used for offices, storage and retail space. Compare the price and location with other commercial offerings in Tombstone and you will see the value being offered. 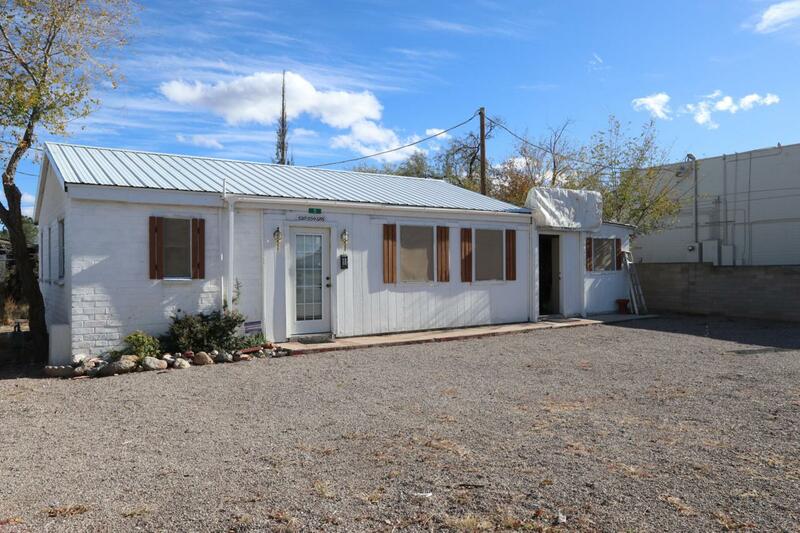 Listing provided courtesy of Richard V Frank of United Country Real Estate Az Homes & Land. © 2019 Southeast Arizona Multiple Listing Service, Inc. All Rights Reserved.